​ QuickSilver Santa Cruz is a nationally ranked USA Swimming team, with training groups ranging from 5-year-old swimmers to college athletes. Please contact Head Coach, Lucas Salles-Cunha lucas@swimqss.org to schedule a tryout. COMPETITIVE TEAM REGISTRATION IS NOW OPEN! CLICK HERE! Beginner Competitive swimmers learn the fundamentals of streamline kicking, freestyle, backstroke, breaststroke, and butterfly, with a focus on stroke development and endurance for competitive swimming. Our intermediate group focuses on developing age-group swimmers with well-rounded training methods. These swimmers maintain focus on stroke technique, body position, and kicking to set themselves up for future success and to limit future injuries, while building up workout intensity. 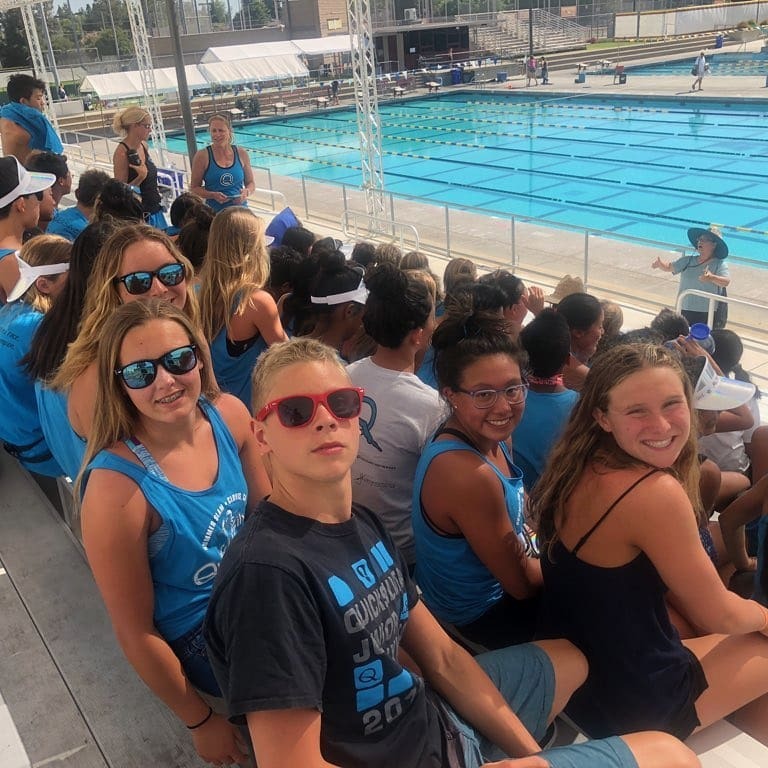 The Pre-National and Junior National groups provides a high-level intense and focused training environment for those swimmers training for 11/12 and 13/14 Junior Olympics, Far Westerns, Sectionals, and higher championship meets. The Senior group swims year round and focuses on Senior meets and high school league championships. The National group prepares swimmers to compete at the highest levels. National swimmers have written race goals and corresponding training goals.